I wanted to execute the opulent look of the Golden Age but knew that it had to be subtle. I was inspired by the glamour of 1920’s style but wanted the rest of the design to reflect a fresh and modern take with clean lines, mixed metal color palette and contemporary fabric texture combinations. It was important to me to include an interracial couple, this was the goal from day one of planning the shoot. 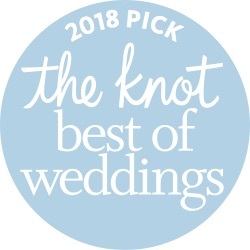 My mission as a wedding planner is to promote women of color in the bridal industry. That means featuring melanin beauties who flaunt their natural hair on their wedding day and look absolutely stunning doing so! 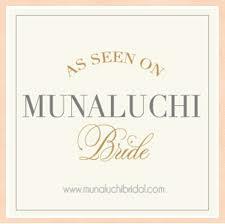 I love what Munaluchi has done in the bridal industry by giving us an amazing platform to show off our beautiful brides. I aim to continue to create content that represents women of color in the bridal industry.